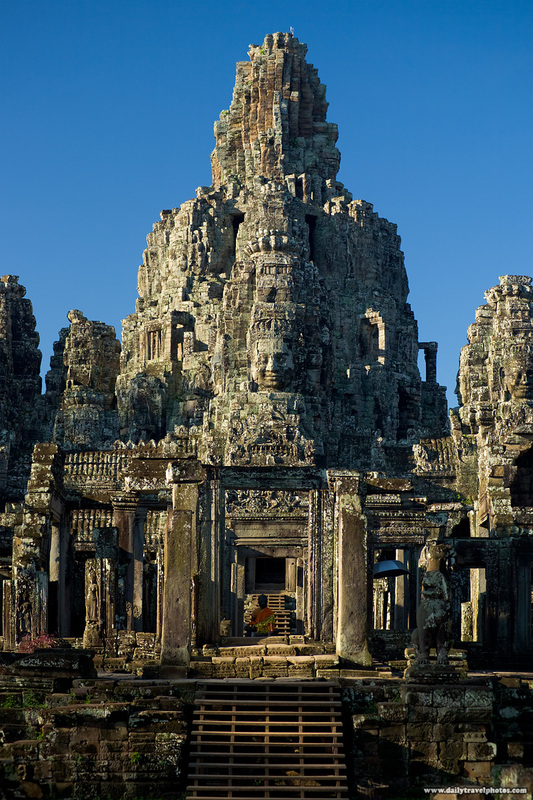 The towering Bayon Temple at the Angkor Wat temple complex (ARCHIVED PHOTO on the weekends - originally photographed 2007/05/17). 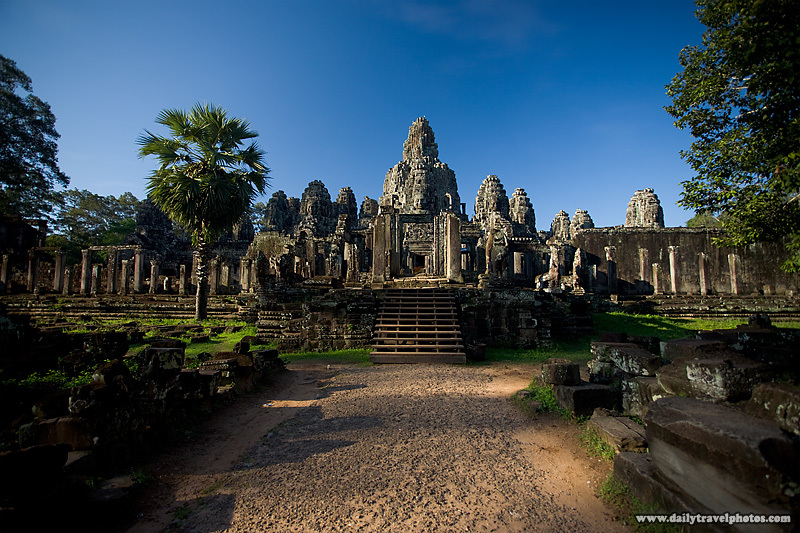 Side entrance to the Bayon Temple at the Angkor Wat temple complex in Cambodia (ARCHIVED PHOTO on the weekends - originally photographed 2007/05/17). Looks like you got here early. This is one of my favorite temples. That said, they're all one of my favorite temples. As an old man, by law, I'm officially forced to wake up at 6am every day. That's the only way to make it to the temples that early, in the freezing cold, uphill... both ways.